My awesome co-hosts today are M. Pax, Karen Walker, and Melissa Maygrove. Please be sure to thank them for their time and effort to make all IWSG members feel welcome. When I started this group, I had no idea it would evolve into one of the largest regular writing feature online. I’m grateful for the three hundred members who post every month. I’ve gotten to know this writing family well and learned so much from you guys. The IWSG is still the greatest blessing and I’ve made some awesome friends. I have some ideas for the group, things that will move it forward so that it continues to grow and evolve. I’ll be working on those plans over the next couple months. Today I’ll just offer a word of encouragement for unpublished writers and authors alike: if a dude who never even planned on being an author, let alone writing a best-selling series, can do it, so can you! Don’t ever lose sight of your dream. And if you know of a writer who needs support, encourage them to sign up. Let’s rock the two-year celebration next month with a slew of new members! Thanks and be sure to visit other members on the list HERE. Thanks to everyone who signed up to announce CassaStorm the third week in September! (Some of the questions made me laugh.) For those who missed it, you can sign up HERE. And you don’t have to leave a question – you can just sign up for the details. It won’t be the same stuff on every blog either. I’ll be sending different announcements and information and you can adjust it to fit your blog style. (Plus the questions will help shake it up a bit.) And don’t forget there are cool prizes! Madeleine Sara at Scribble and Edit is hosting the Novel Films Blogfest II to celebrate the third anniversary of her blog. See her site for details. Sometimes books become movies with new titles. I’ve named the movie – can you name the book? Did you sign up for the CassaStorm announcement? Participating in the Novel Films Blogfest? Think Rachel’s cover rocks? Know any of the trivia? And what is your writer security? I will be a little scarce the next few days as we are taking off for the beach. (But I will be visiting a lot of IWSG posts today and keeping up when I can with my iPad.) This will be Mini-Alex’s first view of the ocean – wonder what he’ll think of it? Still trying to think of a question that hasn't already been asked but I'll get signed up anyway to help spread the word. Excited to hear your plans for IWSG next month. Love the book cover Rachel it looks wonderful. just to add on... I give you this: Do Androids Dream of Electric Sheep? I think Silver Bullet was a Stephen King novel, but I don't know the title. The group - a wonderful idea, just what is needed. 2 years of IWSG? Wow. It's become amazingly popular in such a short time. Beautiful cover for Faerie War. I check out Morgan Media's page and they have a lot of good work over there. I believe Silver Bullet? Wasn't that a story by Stephen King? What a beautiful cover to Rachel's book. It would certainly make me buy it. Alex - I'll be away when CassaStorm comes out so it'll be difficult to spread the word for the first two weeks. However, when I get back I'll do my own post (you can never have too many, can you?) Hope that's OK!! What if Mini-Alex saw the ocean as he flew over on Air France #714? Was he stuffed in a shirt pocket of a kind USPS worker, or did he suffer the angst of living in a bubble - envelope. Suzanne, you can always think of one later. Susan, thank you! More than all right. Mark, sadly all he saw was bubble wrap. No speedos although Kitty is convinced I have invisible underwear. Happy Anniversary to the IWSG! Have a great time at the beach Alex! Don't get caught in a rip current like I did! I'm on vacation. I have company and I've lost track of my days. At 6:15, I bolted out of bed and asked my husband, "When was the first Wednesday of the month?" "Today," he replied. O.M.G. It's IWSG Day!!! I wrote my post and then clicked here. Two years?? Amazing. Thank you, Alex, for all the work you put into this, and for the encouragement you continue to offer. Enjoy your time at the beach! My insecurity today is about book covers. Rachel's is awesome, btw! Have a great trip. And I love Rachel's cover. Dang - I think Hannibal and a Stephen King novel. The rest I have no idea. Looking forward to the iWSG changes. Beautiful cover! I remember when you started IWSG, I can't believe it's been two years. It took me a little while to sign up, but I'm so glad I did! Happy anniversary! And happy official anniversary next month! 2 years? Amazing! Congrats, Alex and great advice too! Enjoy the beach! Sounds lovely! Two years!? Holy cow! Time flies. I LOVE Rachel's book covers. And I remember when SHE was pre-published, and there's her gorgeous series. It really is fun to all be on this journey together, eh? Can't do it if you quit. It's amazing that the IWSG has been going for so long. I'm interested to see what your ideas are for moving it forward. Have fun at the beach!!! Have a good time at the beach! I can't believe it's been two years of IWSG already! Wow! Yes, Alex, I do want your cloning machine. lol As long as my clone has my knowledge. As for your September launch, I've provided a question. Will you be answering that for us to post on our blogs? How will that work? I can't wait to see your ideas for the IWSG! I haven't heard of that blogfest. I'll check it out! Sometimes the simplest of encouragements go the furthest! Thanks as always, Alex, for helping us all feel as if we've got a sincere shot at a writing life! Enjoy the beach! Congrats to Rachel on the new book (the cover is gorgeous) and a big THANK YOU to M. Pax, Karen Walker and Melissa Maygrove. I can only imagine what it's like to keep up with this list! Wow, two years already!? Amazing. And what a beautiful book cover for the Faerie War. Love that. congrats for the 2 years mark and can't wait to see what your new ideas are for the group, especially since I decided to join it. Liza, thank you! And appreciate the dedication. Rusty, you got the second one right. Stina, we would love to have you. Marta, and you haven't missed a single one. Thank you. Donna, yes - the second week of September I'll send the book information and links and your individual question with the answer. Jen, it just takes a word sometimes. I love the shades of burnt gold on Rachel's cover. As an amateur artist, I always seem to notice color schemes first, along with font choice. Have fun at the beach. I can't wait to visit my aunt in Florida again so I can enjoy the beach for a few days. Very cool about the evolution of the ISWG! I'm looking forward to where we're going to go next. Are we going to stop being so insecure? But what fun would that be? Two years of IWSG is just super. IWSG has become an important part of my life. Congrats to Rachel, the cover looks beautiful. I can't believe it's been two years of IWSG already! I I signed up in June so this is my third posting. I'm glad I finally joined such a rockin' group of writers! Rachel's book cover is gorgeous! Awesome books covers, and I'm looking forward to your announcement and the new plans for IWSG! I feel like this is a trick question. Silver Bullet was a book by Stephen King or maybe it was just a short story. I know for certain that Manhunter was based on the novel Red Dragon. Hi Alex .. mini Alex on holiday - what fun .. wonder whether he'll surf or just chill out ..
You're helping so many writers in so many ways and this IWSG section is great for people to air their writing worries .. Cheers Hilary - and enjoy the time out ..
Wow, Rachel's cover is gorgeous! All signed up on the CassaStorm linky. I hope you guys really enjoy your time at the beach. Renewal! Hold on tight to mini-Alex. I hope he has a mini-floaty and mini-scuba gear. Enjoy the ocean, Alex. It's hard to believe it's been nearly two years since you started this gem. I'm having more fun with it than I ever imagined. Thank you! Did sign up. Love Rachel's cover. Couldn't think of a clever question. Hope mini Alex likes the beach and doesn't drown. Thanks for asking me to co-host. It rocks! Kirsten, no fun at all! Laura, we are happy to have you. Madeline, but you're on the right track. Jeremy, we have the blu-ray as well. Suzanne, thanks for being a part of it! I'm signed up for the big announcement! Love Rachel's cover - gorgeous! Alex, when something like this takes off the way it has, you have to wonder if there was a greater purpose and hand involved. Thanks for being a willing conduit. Hmm..I'm stuck on the movie trivia. Can't wait to see the answers. 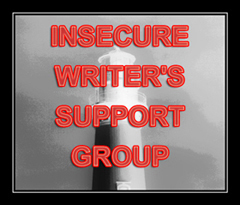 In regards to IWSG, I always appreciate hearing other writers' struggles and insecurities. Those confessions make me feel like I'm normal and not alone in my journey. I really looking forward to your plans for the group. Wow 2 years sure went by fast! Thank you for continuing to host this great feature. Congrats to Morgan on her new cover! Have a great time watching the waves! I'm sure mini-Alex will love it! I love this group so much Alex! A million thanks for starting it. I have been really consumed by the self-doubt these past few weeks. I didn't think I had it in me, and was contemplating giving up. All the support and encouragement I have found here has made me change my mind. And I thank you for that!! Looking forward to see what changes you have in mind for IWSG. Not that I think it needs to be changed, of course. Hi Alex, thanks for creating this community. Thanks to Mary, Karen, and Melissa for moderating IWSG. My writer security is a triptych: my imagination, my friends, and my perserverance. Happy IWSG day! Changes! Always room for change and will be anxious to see those. Fairy book cover great, hopped over to Amazon to read her reviews on her books...I may purchase the first book. Looks interesting! Mini-Alex at the beach! I hope he manages to stay dry AND have a good time! Can't wait for pictures. Rachel's cover is amazing, as are her books. IWSG i always thought about, but you have to kinda be insecure first right? lol too crazy to give insecurity the time of day. Wasn't it the same title? Or After Hours. Two of them I think. Beach time! That's sweet! I hope you and your wife, and mini-Alex all have fun! I hope I'm signed up, but I'll double check, and Rachel's new cover rocks! Karen, thanks for helping today! Bish, glad you joined us. Julie, thanks! If I accomplish nothing else in life, the IWSG is what mattered most. Mel, glad to hear you benefit from it. Lexa, it won't change drastically. Tessa, glad it keeps you motivated. Jaybird, we won't let you give up. Ken, that's funny. Yeah, it is cold. Molly, thanks for being a part of it! Pat, very good - got most of them. And you can be a secure writer and give encouragement. Two years is really amazing. I'm so glad I can be a part of IWSG. It's been a great experience and I can't wait for two more. I signed up and left my question! Enjoy the beach! Hope it is relaxing and fun. Amazing how much the group has grown since you started it. Awesome! I'm so thrilled for your success, Alex. Your 3rd book is going to be a huge smash hit. Enjoy the beach. Hope you find the time to relax. I have a lot of writer insecurities, but securities...? I have to think on that. I hope I signed up for the big announcement. Sorry if I didn't! And sorry I have not been around. I'll try to backtrack soon. Hope you are well! I just squeed my pants! Rachel's books rock!!! I've gotta get my hands on this one. And yay for making it 2 years! Whoot Whoot! IWSG is a genius idea. Met so many awesome peeps through it. Good luck with the tour coming up! Two years of IWSG? Really? Wow. I think I only missed one. Of course I signed up for the CassaStorm Blitz. Alex-- Enjoy the beach. We're going to mountains soon. This is why I like living in NC. You can have best of both worlds. Two years of meeting great new friends. Thanks, Alex, for making such a neat opportunity for us. Have fun at the beach! Rachel Morgan's success is awesome too. Good IWSG advice. 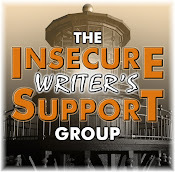 Amazed it's been going 2 years and that there are 300 insecure writers linked up! Cool looking books, they remind me of an old English cartoon character Willo the Whisp for some reason. Nothing better than a beach and for the first time? Fabulous. He'll either want into the waves or he'll want to keep away. It's an amazing success story! Can't believe it's been two years! I'm anxious to see what ideas you have for the group. I signed up to be part of the announcement but couldn't think of a question and accidentally left my name in the question section. Sorry about that! Not sure where my brain was on Monday. I can't believe it's been 2 years. Feels like it was relatively recently. I'll have to see if I can come up with a question for your CassaStorm announcement! Hope you have fun at the beach. Ella, I'll even try to skip the rock for you! Joylene, thanks, and I hope so! Cassie, only you could get away with saying that. Mary, thanks again for co-hosting today. Lee, he'll probably keep away. Julie, that made me chuckle. I love what you've done with the Insecure WRiter group, Alex. I'm random with my posting on it but this month I made it-- yay! And I always love visiting blogs on the first Wednesday of the month, they're the most interesting posts. Just wanted to drop by and apologize for not getting a IWSG post up today. We had an unexpected death in the family yesterday and I've been delayed. Such a wonderful group and I'll be on board next month! Isn't Rachel's cover cool? I am sad to report this is the first IWSG I will not be participating in group discussions. Please don't kick me off. I love that you have the inside track on the cool blogfest. Madeleine's looks like fun. Enjoy the beach and make sure you bring Mini Alex's water wings. Have fun Alex and you know I signed up. Your advice in IWSG was excellent and definitely something all writers should recognize. I know none of those book titles. DOH! Wow! Happy Two Years to the IWSG! It seriously seems like yesterday when you started that!! Great cover for The Faerie War! Congrats on your upcoming second anniversary! It's been a terrific two years! Have fun at the beach Alex! While too many things fall by the wayside for lack of time, I absolutely refuse to drop the IWSG. It means far too much to me. For that, Alex, I thank you!! I can't believe that IWSG has been going on for so long!! Can't wait to see what you have in store for IWSG. And I want to say #2 is Red Dragon, but I'm not certain. Have a great time at the beach! I'm going to keep my fingers crossed that there will be *no rain! * We've been so waterlogged in NC. 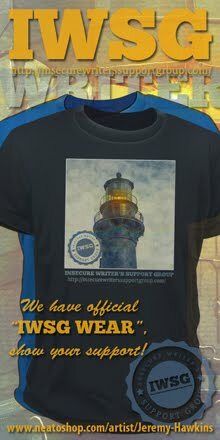 Congrats on IWSG's success and its reach in helping others! Rachel's cover is great. Enjoy the beach. Two years of insecure seems pretty wild. I don't remember when I joined but it might have been at the start. 1 – Carlito’s Way 1993 : Carlito's Way? 2 – Manhunter 1986 :Red Dragon. 4 – Silver Bullet 1986: Cycle of the Werewolf. Morgan, I'm sorry! Prayers for you and your family. Nancy, thanks - I really appreciate that! Elizabeth, a day without rain would be nice. Enjoy the beach with Mini-Alex! Congrats on 2 years of IWSG! I'm looking forward to the celebrations... and your new plans for the group! YAY! And thanks for the ongoing support and words of encouragement to all us unpublished writers. My flash fic will be published next Wednesday... never in my wildest dreams could I ever have imagined that I'd have an article accepted and published - and it IS my first submission!! My writer security? My "writerly strength" is flash fiction. 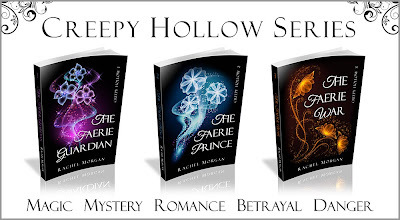 Rachel is sooooooo talented - her covers are stunningly beautiful! I'm all signed up for Cassastorm. Oh and have fun at the beach! Hello to Mini-Alex and Mrs. C! Have a wonderful time at the beach, Alex! You certainly deserve a great vacation!!! 2 years of IWSG! Holy Frijoles! New ideas? I can't wait to hear them. Let me know if you need any help! I'm online! Today was the first day of school so I had five minutes! Thanks for being the launch author for CK Reader Giveaways! Two years is just the beginning. ;) I look forward to seeing how the group grows and evolves over the next two. Great advice for aspiring authors. And Rachael's cover do rock. Have fun at the beach! And I have NO IDEA of the books! Believe it or not, I read this post very early this morning, when I couldn't sleep, and there were NO comments, but alas my phone won't let me comment. That is some AWESOME cover there - seeing it everywhere. Don't give up on your dream. Excellent advice. Wow, 2 years of IWSG is amazing! And so glad you started it. Hope you enjoy your days on the beach. Ipads mix with sand, huh? Congrats on 2 years of IWSG! You've built something really amazing. I'm just glad I can be a part of it. Rachel's cover is great. I think I have two of the movies: 2. Red Dragon 4. Cycle of the Werewolf. I don't remember how many followers you had in the spring of 2011 when I started reading your blog. But now, to see the multitudes surf your way everyday is truly amazing. You are one fine human, Alex. You know, I don't think your success was just luck. You put a lot of work into the blogging community, and I think that has paid off for you. Not that I'm saying that I think what you've done has been about selling books; that's just a byproduct of what you've done. Alex, you are such an angel for creating this group. Thank you! It's amazing how your idea took off Alex. You tapped into the insecure writer psyche and at the same time have created this great space to find and nurture friendships! Michelle, you are the flash fiction master! That comes as no surprise you would be accepted. We'll have to spread the word next Wednesday. Heather, if you're offering, I just might take you up on that. Ciara, thank you for letting me the launch author! Kim, I bet it was a good question - thanks. Faraway, we'll pretend you were first then. T, just hope I don't drop it! Thanks, Huntress. It amazes me!! Andrew, that's exactly right. Book sales were a byproduct. Wow! Two years? It hasn't seemed that long. Congrats on reaching the two year mark for the IWSG! That's an awesome achievement! And the cover of Rachel Morgan's new book definitely rocks! I wish a long life for Insecure Writer's Support Group! Increasing! Greetings! Rachel's book covers are gorgeous! Your idea for the launch party is brilliant. I'm sure no one is surprised by my question. Looking forward to helping you blast this one off. Two years of IWSG! Time sure flies! I love Rachel's cover! I revealed it today too. :) Her books are incredible and I can't wait to read the last one. 2 years - wow, that's awesome! I can't wait to celebrate such an awesome group! Two years of the support group? Holy moly! Congrats Alex! Brilliant motivation! Thanks so much for starting this. It's helped so much! Happy second birthday. It's been a grand venture that's helped a lot of people. PK, you are really close! Nicki, thanks on both counts. Cathy, you are a brilliant writer. Meredith, that's good to hear. Two years of IWSG? Pretty cool. It was an ingenious idea then and still is. Thanks for implementing it, since I've been helped quite a bit from this meme. I can't remember if I signed up for the announcement or not. Remind me where it is...I'd be thrilled to help. TWO YEARS! Congrats, Alex, on such a successful endeavor! Rachael's covers are very solid. Simplistic, yet they grab your attention and draw you in. That's wonderful encouragement! I feel the same way--I never expected to publish books but it CAN happen. Not being a writer, insecure or otherwise, I don't do much reading during ISWG although I think it's a wonderful group and it seems to work well. Like the sound of the Faerie book, but at the moment my TBR list is awesomely long. Only knew one of those films and I have no idea of the name of the book. When it comes to movies I am pretty pathetic I'm afraid. And congrats to you for your hard work building up IWSG and turning it into a truly fabulous supportive group. You have me intrigued as to what you have planned with it. As promised on Twitter, I was working my way through that list of IWSG and now I have arrived. I know that the group has a lot of positive interaction. When you support and encourage each other, the inspiration breeds inspiration. That is superb and more fulfilment to all of you. I will end by saying congrats to everyone mentioned in your links. As for blogfests...takes deep breath. Enjoy the beach and watch out for those pesky autograph hunters. Mike, thanks for your help. Lynda, I will let you know really soon. Might need your help. Gary, always appreciate the support. Melissa, no worries! Thanks for your help. Have fun at the beach. Perhaps mini-Alex will pick up surfing? Or maybe you will pick up mini-Alex and use him as a surfboard? Either way, have a blast. I can't wait to see the new improved IWSG. Thanks again for starting it! The IWSG sounds like a very supportive group and I'd like to participate next month, Alex. Also, I like the movie Vertigo, and Taps, the others I haven't had the pleasure of seeing. Yep signed up and ready to go! Have a great trip to the beach and get mini-Alex a life vest...a cool one of course! You definitely rock the blogging world Alex. IWSG has powered on. I am way too unorganised to be running stuff like this, your mind must be like filofax! (outdated organisational reference kids). I've only done IWSG for 2 months but everyone is so supportive! Thanks for such an awesome group. Have a wonderful time at the beach with Mini-Alex. And yes, Rachel's cover is gorgeously rocking! I've never missed a posting since I signed up for ISWG. But this month I did. I've been celebrating the birth of my beautiful new grand daughter! Wonderful news this month, all around! I like that cover. The simplicity actually works really well for it. Enjoy the beach! As a landlocked Coloradoan, the beach is one of my favorite places to go that I almost never get a chance to see (unless I'm watching one of those lame Corona commercials). Two years of greatness :D You are truly a special kind of blogger for bringing support to so many writers. I tip my *invisible* hat to you, Mr. Ninja. I'm stumped on the new titles. Vertigo is great film though! Have fun at the beach and do NOT follow my lead by forgetting sunscreen. IWSG was the most awesome idea. Excellent contribution to the sanity of us all. Rachel's book covers are always beautiful! You've done an amazing thing building up the IWSG. I'm not yet a part of it though I think I will be someday. For whatever reason I just haven't got around to signing up for it. Happy 2 year anniversary to IWSG! Although I haven't been with this group for very long, I've benefited so much from sharing and seeing what other people share. Thanks for putting this all together!! Yes, I signed up! Yes, I love Rachel's cover (s)!!! Thanks for sharing them. Hope you enjoy the beach! Spent a little time there myself this summer, lucky me. Now back to the keyboard! My eyes are tired and I first thought I saw twenty-fourth year. I loved seeing the posts up. So many encouraging and inspiring posts as well as writerly concerns I also have. Have fun at the beach, Alex! Congrats to Rachel Morgan on her new release! really looking forward to your iwsg evolving ideas! Bet you thought I forgo again? Well I did, but I'm up now! :) I'll be hopping about too. I'm totally going to sign up for your tour (now I know I can) and how did I not know Carlito's Way was first o novel? Of course it was, it's narrated like one, come to think of it. May have to stop by Google to procrastinate some more. IWSG is what keeps me blogging - at least it has been lately. I'm very grateful to be a part of it. All signed up for the CassaStorm announcement! Thanks for the encouragement, Alex! You and IWSG are inspiring! I can name exactly none of those books. LOL- I can't name any of those. Her cover does rock! She's doing quite well. Not participating in anything for a bit still, working on getting caught up in life after a move followed by a vacation. Wow! I some how missed this one. Just signed up and submitted a question. Thanks for the second offering! w00t! 2 years! Thanks for this group, Alex. It's been great to have and I'm glad I'm a part of it. Have an awesome time at the beach Alex. I'm sure Mini-Alex will get a sweet tan although he'll probably have a raccoon face from the mask. Have a great time at the beach- sorry for being so remisss in visiting your blog more often! I'll keep my eye out for the next Creepy Hollow book. Cheers! Heading for the beach? You just made me realize how long it has been since I sat by the ocean and listened to the waves. Maybe it's time to schedule a real vacation. I'm not so great at film trivia, but the covers on the Creepy Hollow books are quite beautiful. And congrats on the IWG anniversary. I remembered the ISWG post up to Tuesday and then forgot. Such is life. I love, love, love Rachel's covers and this one is just as lovely as the rest. Thank you for the inspiring words, Alex. It's helpful to remember that every successful writer started at the same spot. Glad you reminded us to sign up for the book release. I'm planning to sign up this week :) Love the questions idea. And last but not least... 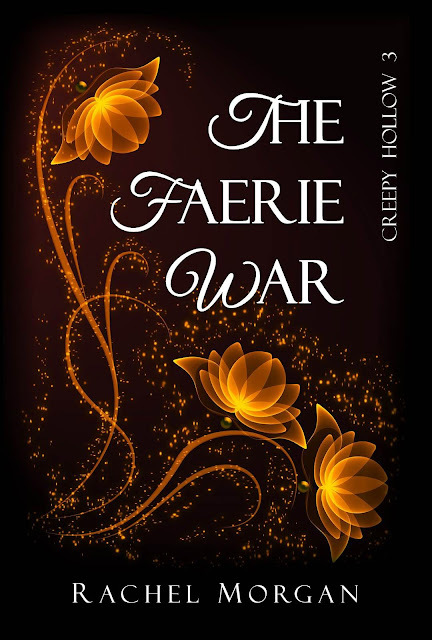 I love Rachel's The Faerie War book cover. Its brilliant and so exciting. That's so important. Never lose sight of your dreams. And a big thank you to M. Pax, Karen Walker, and Melissa Maygrove! I think MiniAlex will love the ocean and feel both relaxed and inspired. Enjoy the trip. I was on a bike trip this week and missed posting for IWSG on Wed. I posted today. Maybe we could make it a week for posting insecurities? Anyway, thanks for starting this great group. My son looked over my shoulder while I was on your blog and asked for the next two books in your Casa Series. GEEZ! I remember signing up for the first! I am flabbergasted it's been that long! Enjoy your days at the beach, ALex and mini Alex. Rachel's cover is STUNNING! Nice job, Rachel! Congrats!!!! Thanks so much, Alex, the mobility scooter arrives tomorrow, the moment of truth!! Dude, I've been watching shark week. If you go near the ocean, don't take a swim. Sharks have been eating people more this year than any year. Whoa! Checking in from the beach - I should've checked in sooner. Ink, congratulations and no worries. Samantha, this pale dude burns easy - I have my sunscreen! Michael, I know what swims in our waters - I'm not going in! Hey Alex! Have a great time at the beach! East or west coast? I'm all for helping out, still thinking of my question, though! And, hey, drop the iPad and enjoy the sun. I doubt anyone'll be upset if you miss a post, especially seeing as you're so caring and so devoted to your fan base all the time! Totally spaced out this months IWSG! Thanks for starting such an awesome group. Always fun to connect with everyone. New puppy taking up all time in my life! And I thought I didn't have time to write before! Wow, almost 2 years. Congratulations! The Fairy series looks interesting. I will have to add it. I'm so I that I didn't even post about it this week. 1. I thought it was "Carlito's Way"? Or was it the second book (title escapes me) and the first book was that god-awful sequel? 3. "The Living and the Dead"
4. "Cycle of the Werewolf" by Stephen King. 5. That book by that author, right? Randi Lee, I'm on the East Coast. Jill, no worries. You need to post photos of your puppy. Joshua, you got three right - best so far! An inspiring dose of encouragement you have dished out Alex. The beach! Hope you find a Tiki Hut! I have really enjoyed being a part of the group and meeting new people and sharing our thoughts, can't wait to see what is next. Also I am going to go sign up, I missed the post as I was away in the cave. Happy anniversary! I will be back to the group in September. Thanks for all you do, Alex. Have a great weekend! Congrats on the Cassastorm upcoming release. The cover for The Faerie War is awesome. I only just saw this post, but I signed up and put my question in. I'm always late to the party. But that's fine because I'm not really a partier. I'm the guy who goes to the party intending to be fun and friendly and make new friends and have a great time but then ends up sort of sitting by the bookcase all night, wishing that he could just pick up that copy of the book and go off to another room to read it. Brandon, thanks, and glad you enjoy the IWSG! Tracy Jo, it will be good to have you back. Thanks, Briane. And I've never been a party guy. Unless the focus is food of course. Congrats on two years of ISWG. What a fantastic idea - I'm not surprised it's been so successful. Enjoy the beach, Alex! I like reading and commenting on the IWSG posts; we all have our own insecurities, mos def.